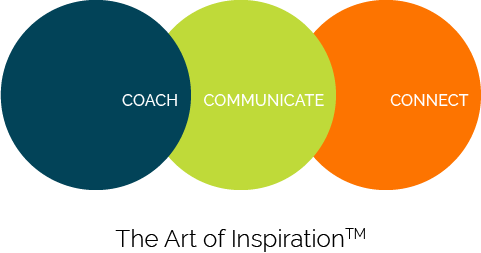 Our coaches have been curated to be your trusted advisors and truth-speakers who will help you address any personal or professional obstacles so you can move forward powerfully. Leader Platform: The basis of all leadership communications is your platform—who are you? What do you stand for? What values guide you? What are your superpowers? Why are you the right leader? How do you show up compared to your competition? We work with you to define your unique and compelling platform to communicate the best of yourself and your vision. Thought Leadership: Every significant leader needs to add something new to the industry dialogue. This is thought leadership. Are you advancing a provocative new insight that reframes the issue now? We will help you articulate a unique and standout perspective that will position you as a thought leader. Communications Plan: We partner with your executive communications team (or be yours if you don't have one) to build a thoughtful, effective, and comprehensive communications plan for your Leader Platform, spanning internal, external, and social media. From big-stage keynotes to high-stakes interviews to mission-critical team meetings, we work with you to find your leadership voice. Our goal is to help you connect with your audience at any and every milestone moment. Career-Defining Speeches: Every single one of the keynotes our team has meticulously crafted has been lauded as “inspirational” on Tweets and texts. Our team will help you craft and deliver a rousing keynote, from speechwriting to speaker coaching, visual narrative to wardrobe. Message Amplification: Is your comms team writing your speech, but you need to deliver the shiver? Our Story Strategists amplify your impact with a full editorial analysis and story intervention for your speech (What’s the headline? How do we make the message pop? Will the audience be engaged? Are there memorable lines?). We will research and advance compelling thought leadership, revise for Tweet-worthy storytelling, ensure you use your unique leadership voice, and partner with you and your communications team to maximize your onstage impact. Media Prep: Our team will also help you with your Media Prep, whether you’re interviewed in person or over Skype. From content prep to camera positioning, you will be ready for all questions, all circumstances.